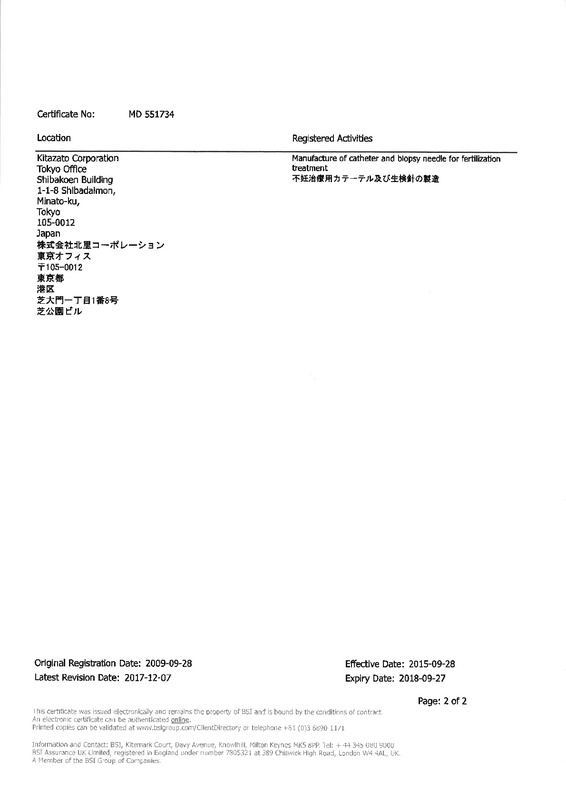 The Kitazato BioPharma factory, established in Fuji (Shizuoka) in 2005, has the most advanced technology for guaranteeing quality both in each one of the steps of the production process, and in the storage and subsequent distribution of our vitrification products and warm plates. 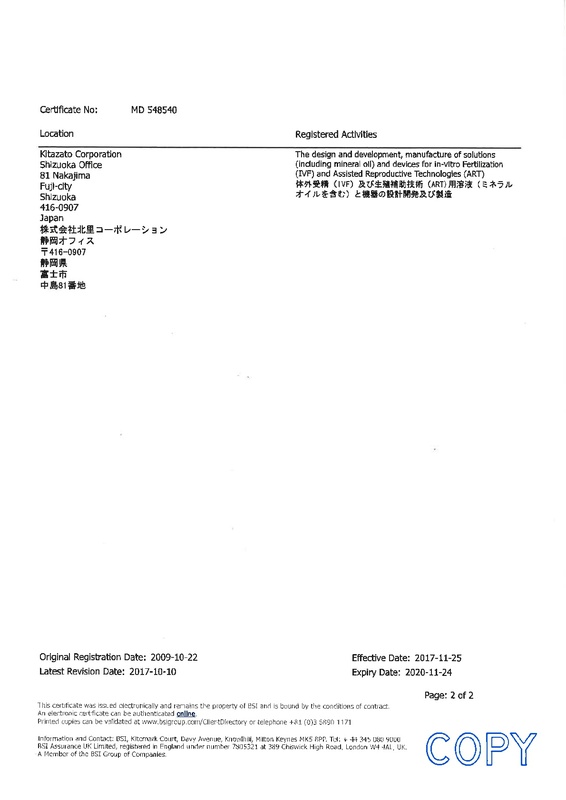 The Kitazato Medical factory is located next to the central offices of Kitazato in Tokyo and focuses its activity on the production of Ovarian Puncture Needles, Embryo Transfer Catheters and Insemination Catheters. Our products are stored in optimal conditions for their future use, maintaining the cold chain when it is necessary and guaranteeing it in deliveries thanks to our efficient refrigerated packaging. 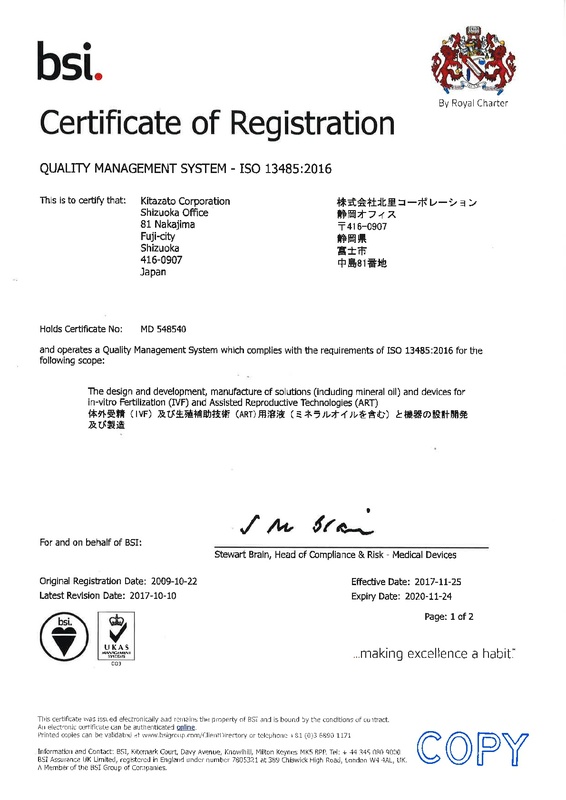 The Quality Systems implemented at Kitazato allow compliance with legal and regulatory provisions in effect and the continuous improvement of the Quality Management System. 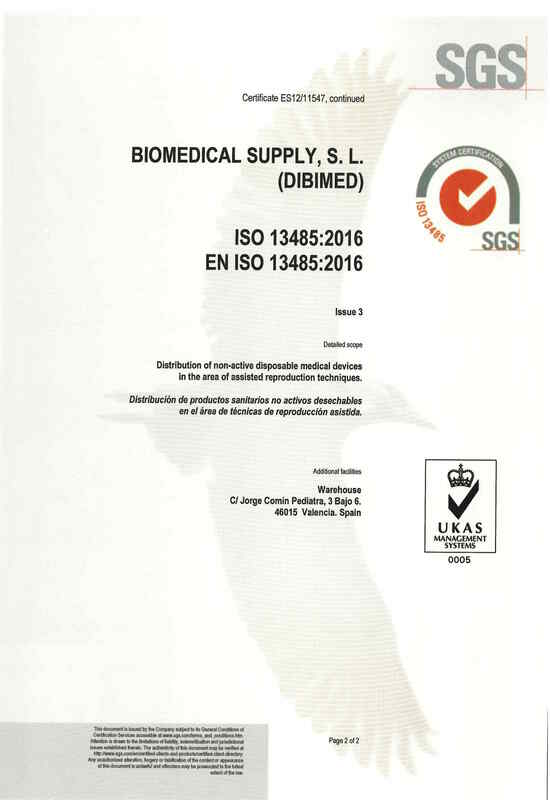 Thanks to this fact, Kitazato has the necessary control procedures to put the best products, of the best quality, on the market, with the sole objective of obtaining the best results for our clients in the area of Assisted Reproduction. 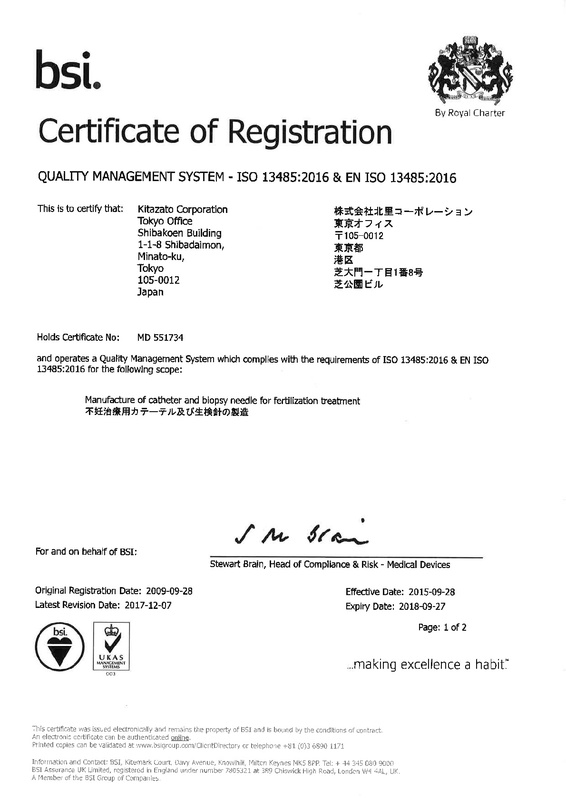 The processes and procedures of Kitazato comply with Medical Device Regulations, which has allowed us to obtain the CE marking, complying with Directive 93/42/ECC and 98/79/ECC for the majority of our products. 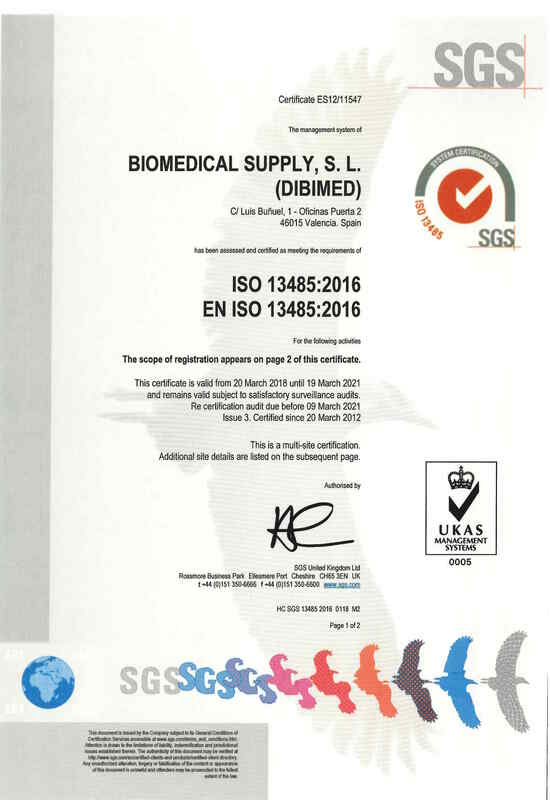 Both Kitazato Biopharma and Kitazato Medical (as well as Biomedical Supply-Dibimed as Authorised Representative of Kitazato in the European Community), have Quality Systems implemented under regulation ISO 13485, specifically for Healthcare Product Quality Management Systems, committing to comply with the requirements specified by the clients, in addition to legal and regulatory requirements, as well as continuously improving the efficiency of the Quality Management System.